← MIDLAND IS INTRODUCING NEW POWER SOLUTIONS FOR MOTOR BIKES. In the past each country had his own Post and Telegraph Service. These were owned and operated by the government. Around the 1990’s the private cell phone networks were build and most of the Post and Telecom agencies were privatised. All these buildings had large antennas on the roof to transmit messages all over the world. At first it were only wireless morse and telegram communication antennas. 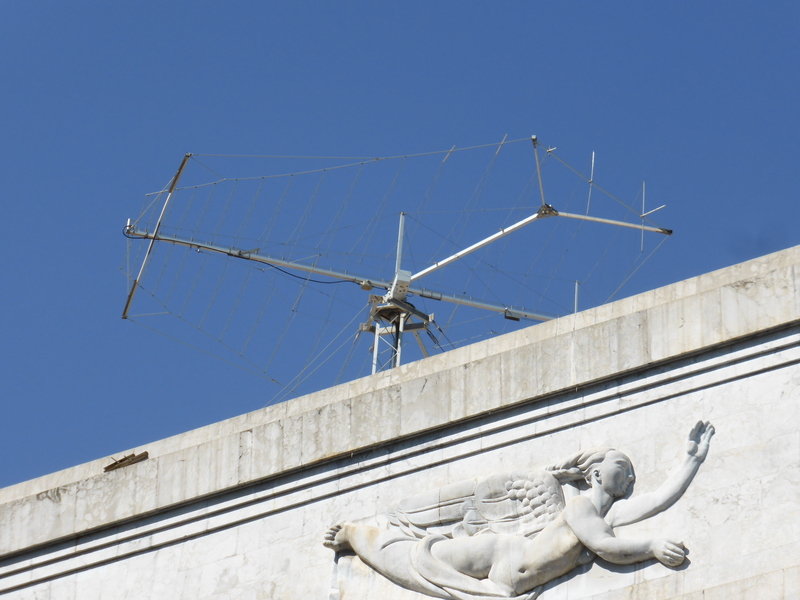 Later on there were also commercial communication services and radio monitor services that needed antennas. Last week I visited Palermo on the Italian island Sicily. Walking through the center of this city I saw the imposing Post and Telegraph building with some nice antennas on the roof. 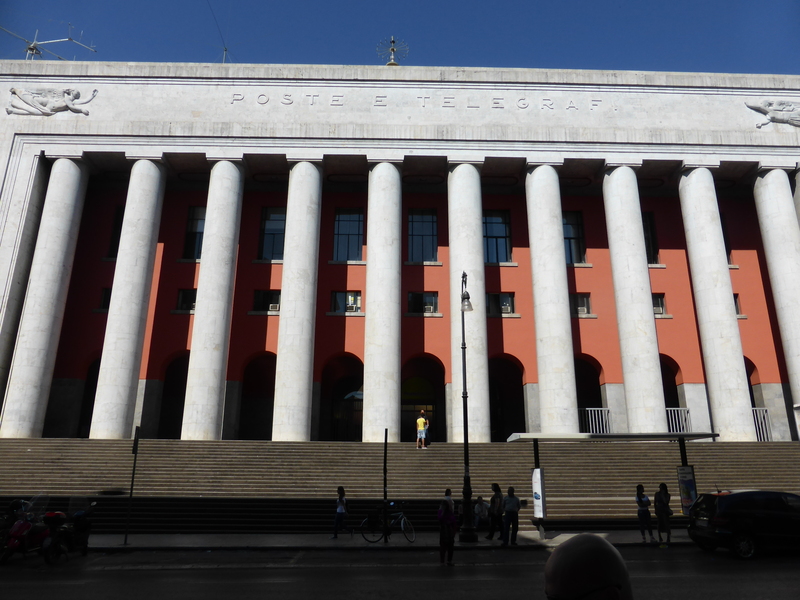 In the first part of the 1900’s in all European countries this kind of big buildings were constructed to house the telecom services. All of them with lots of antennas on the roof. There was a big ground plane antenna, no idea for what frequency. 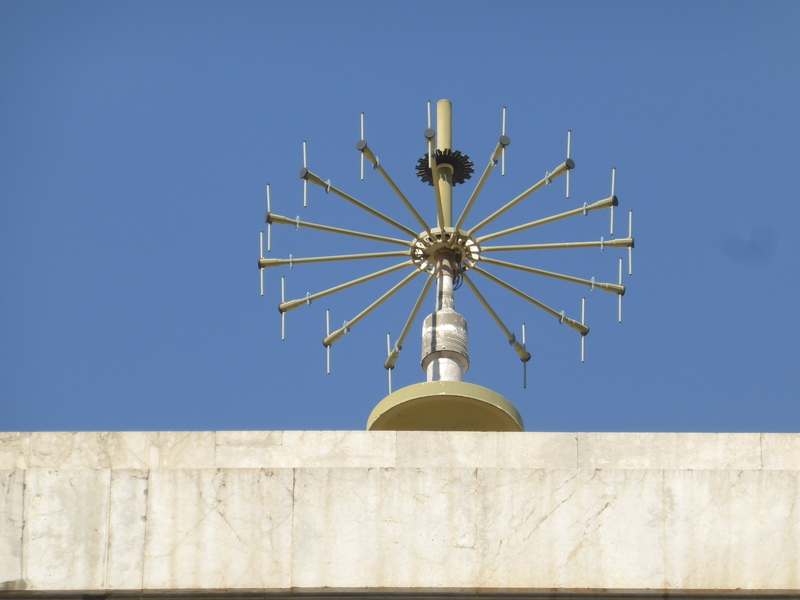 Most interesting to see was this directional type antenna on a rotor. 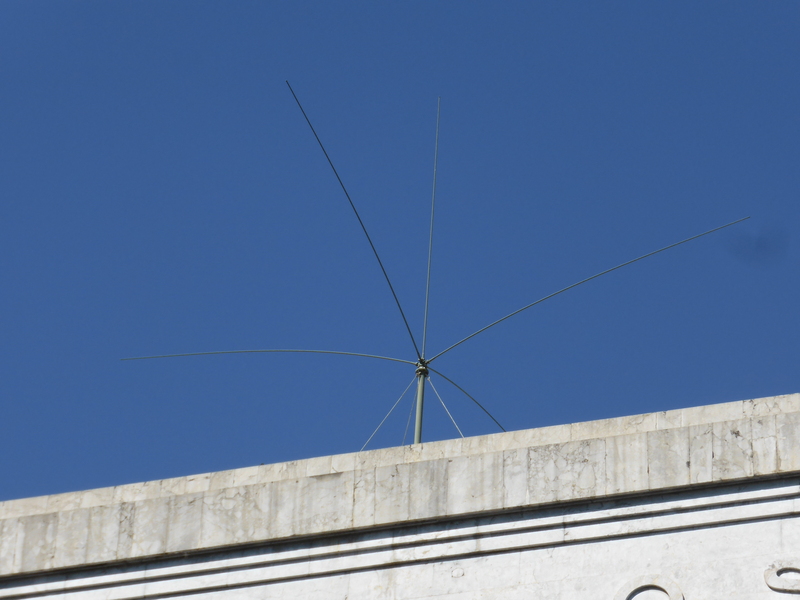 This looks like a more common antenna for higher frequencies, probably WLAN or WIFI. It would have been great to enter the building, visit the roof and have a specialist tell me for what frequencies exactly these antennas are used. The Post and Telecom buildings slowly disappear as new services took over the old ones. The antennas for the new services get smaller as the frequencies get higher. But the amount of antennas for wireless services all over the world is growing rapidly. The number of masts with many antennas for the different operators and many services is still growing. So even when the old buildings with antennas disappear, there still will be a lot to see when you look in the air. 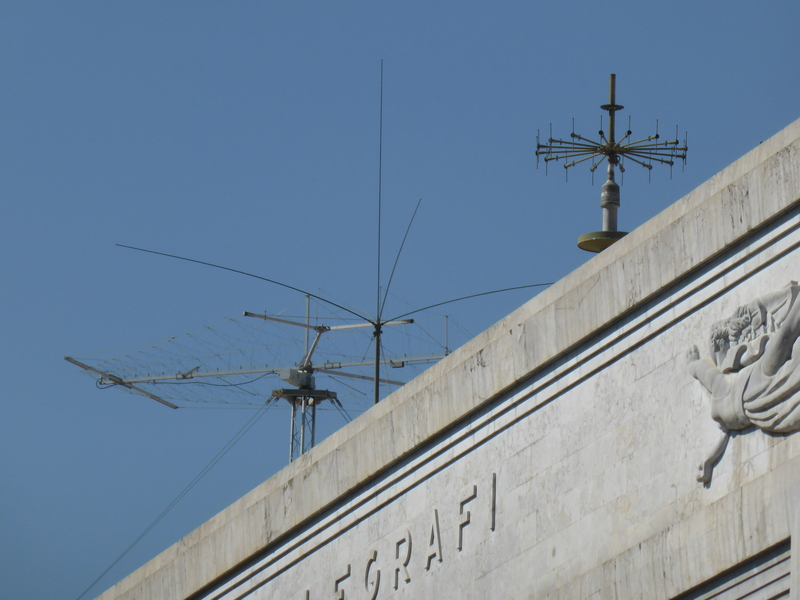 And if you by chance know the frequencies of the antennas on the photo’s, feel free to let us know. This entry was posted in Telecom and tagged palermo, post and telegraph, Sicily. Bookmark the permalink.